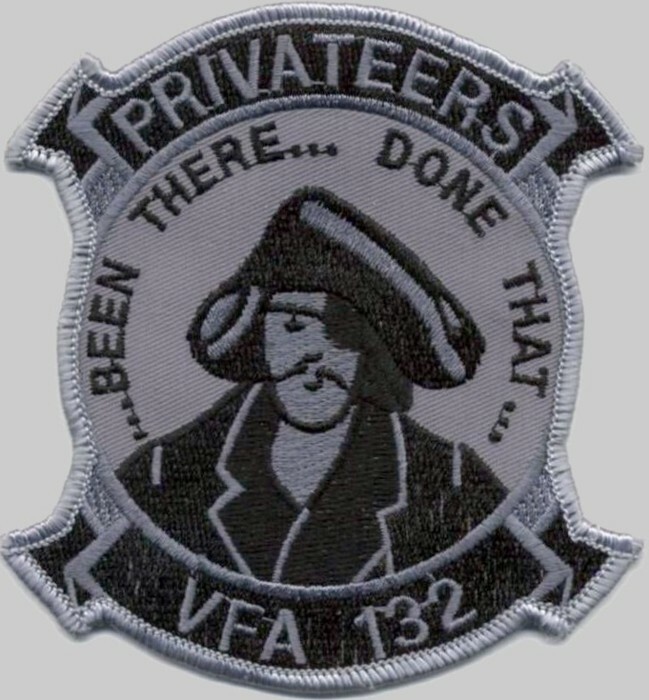 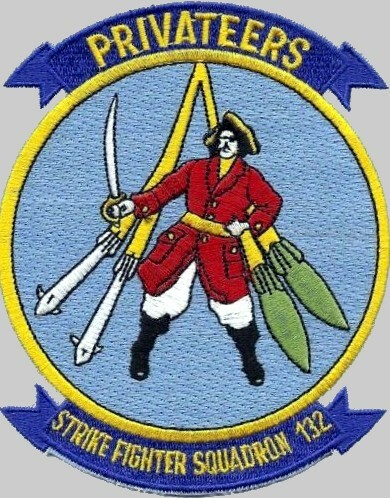 The Privateers were established on 3 January 1984 as (VFA-132) the first squadron to be assigned the VFA designation. 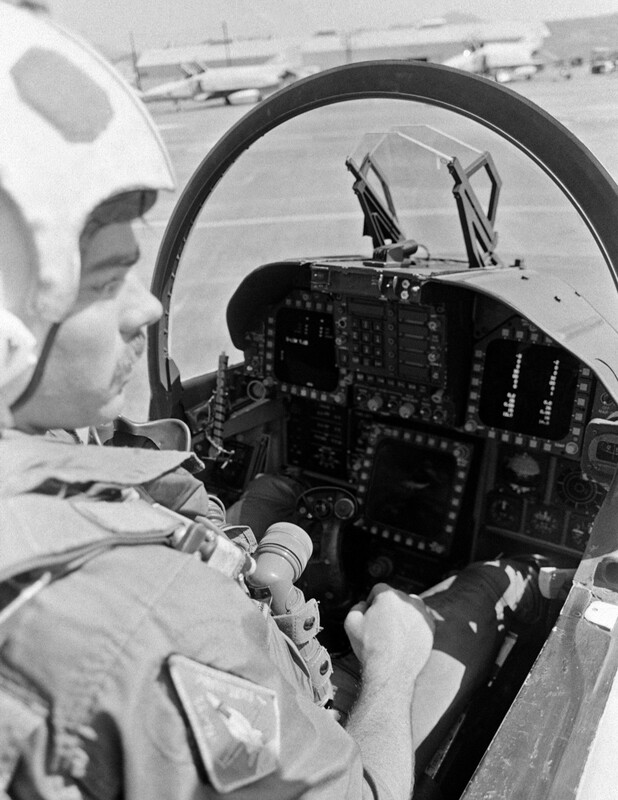 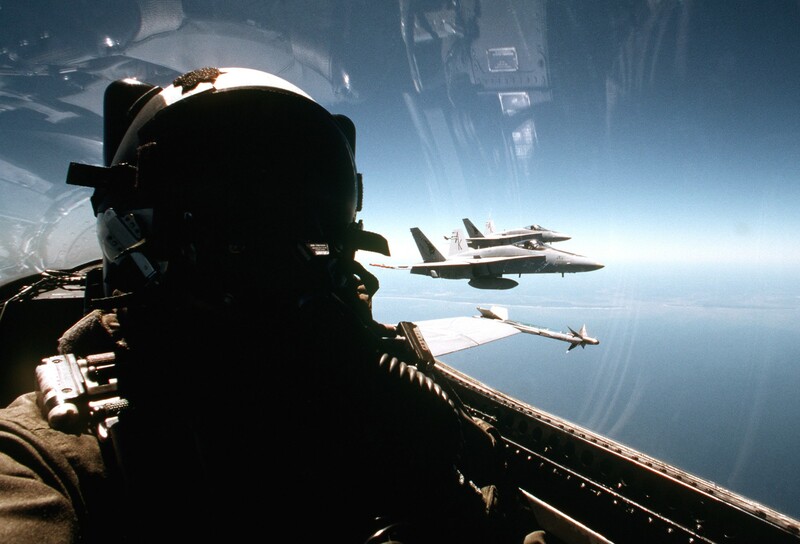 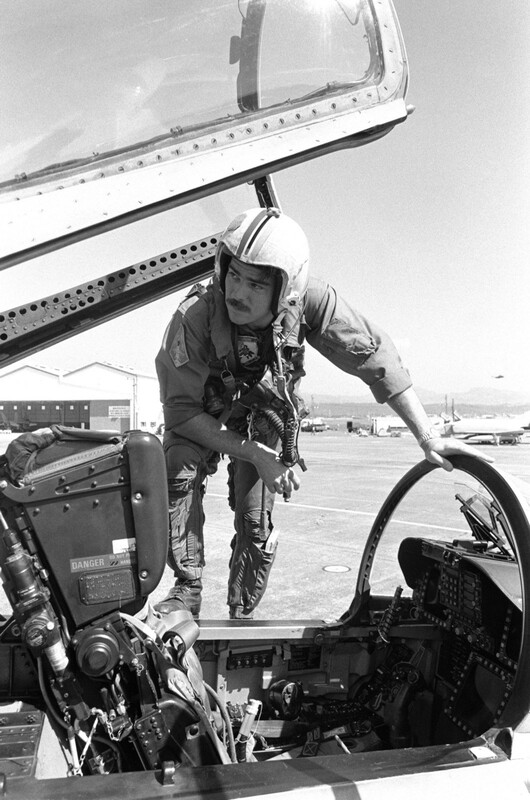 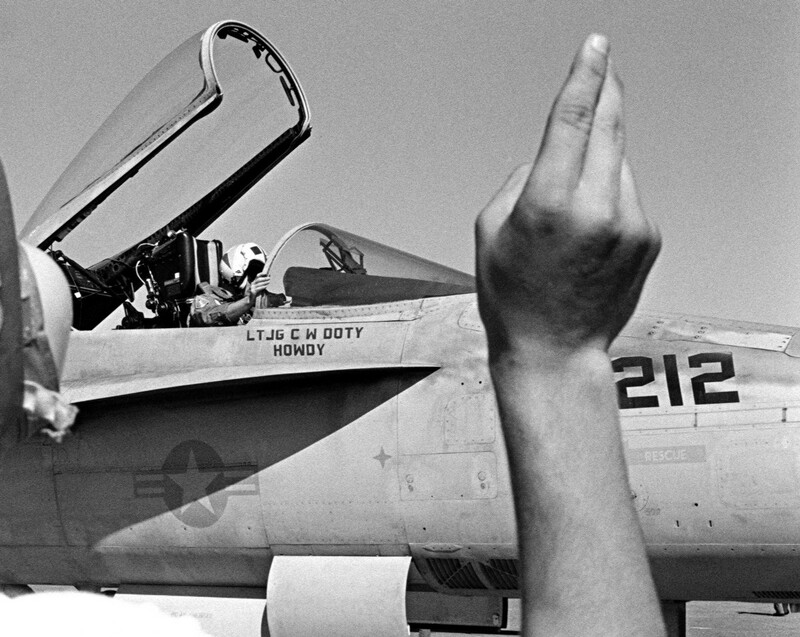 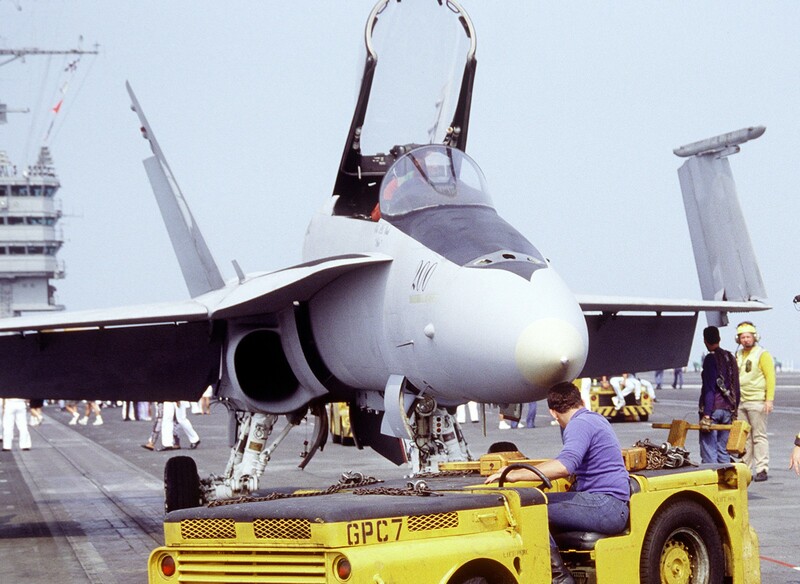 operating the F/A-18C Hornet from NAS Lemoore, CA, and moved to NAS Cecil Field in February 1985. 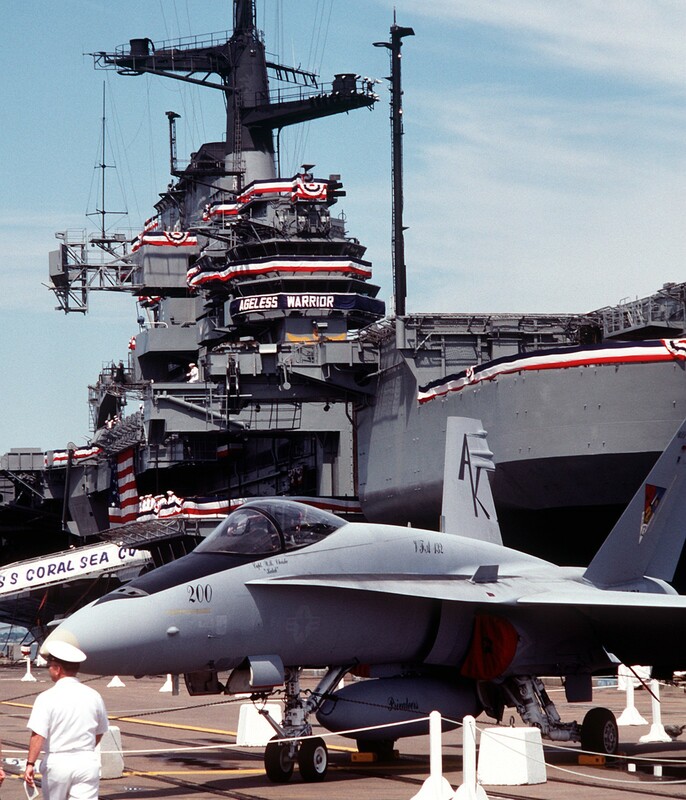 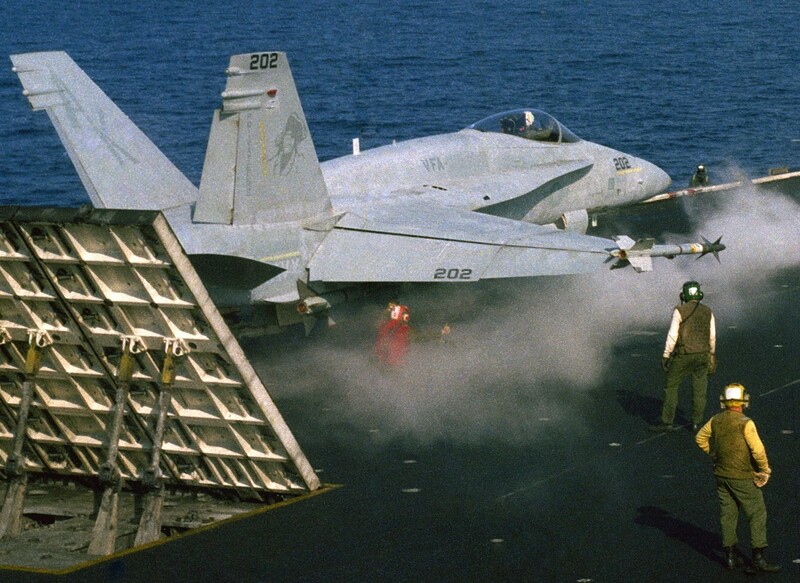 They made their inaugural deployment aboard the USS Coral Sea (CV-43) (which was retired in 1989) and saw combat operations during Operations Prairie Fire and El Dorado Canyon against Libya. 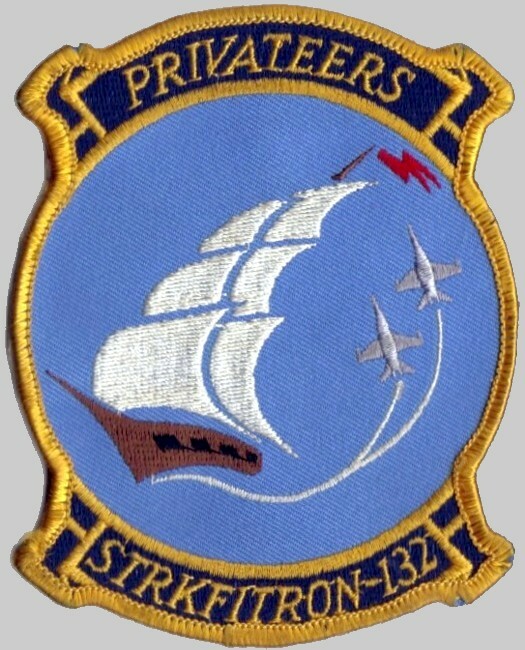 March 1986: During Freedom of Navigation exercises in the Gulf of Sidra, the squadron’s aircraft flew Combat Air Patrols in support of the exercise, including the period of 24 and 25 March following a 24 March Libyan firing of an SA-5 missile against an American aircraft operating in international waters. 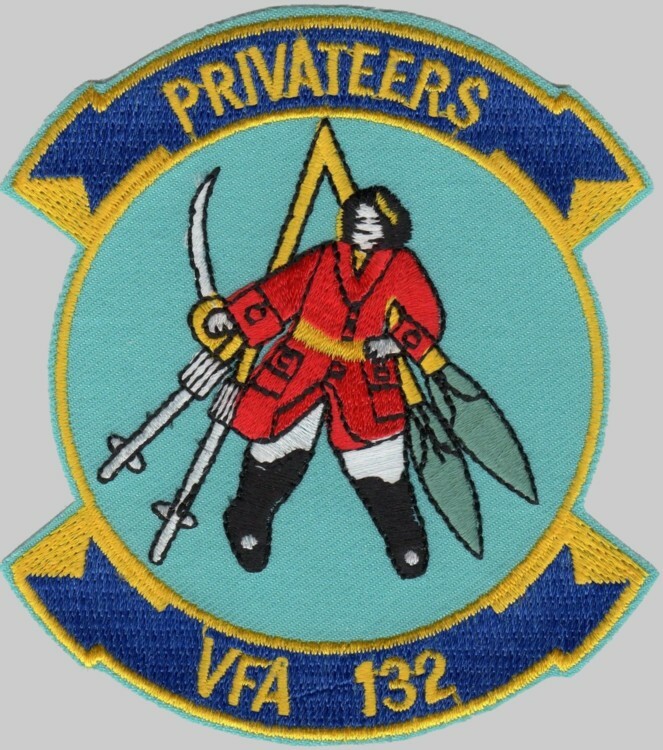 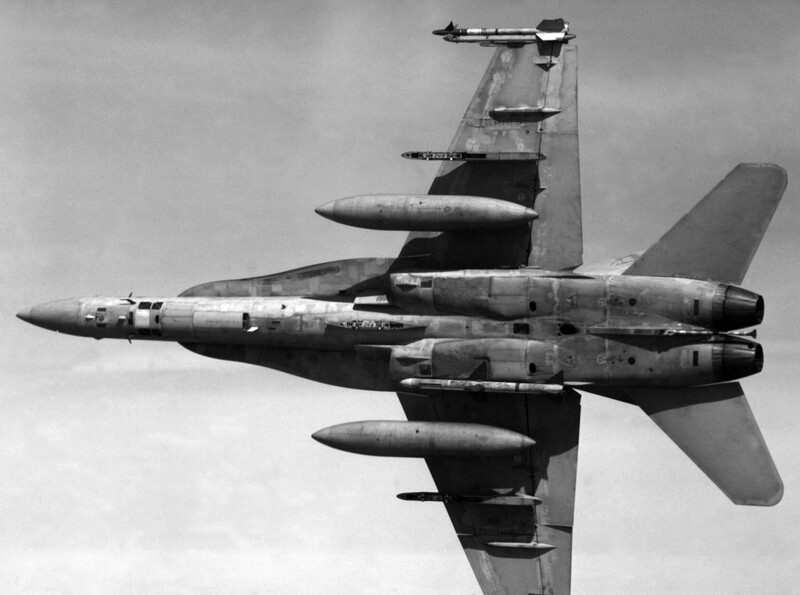 14-15 April 1986: Squadron aircraft, along with other units of CVW-13 and A-7s from CVW-1, provided air to surface Shrike and Harm missile strikes against Libyan surface-to-air missile sites at Banghazi. 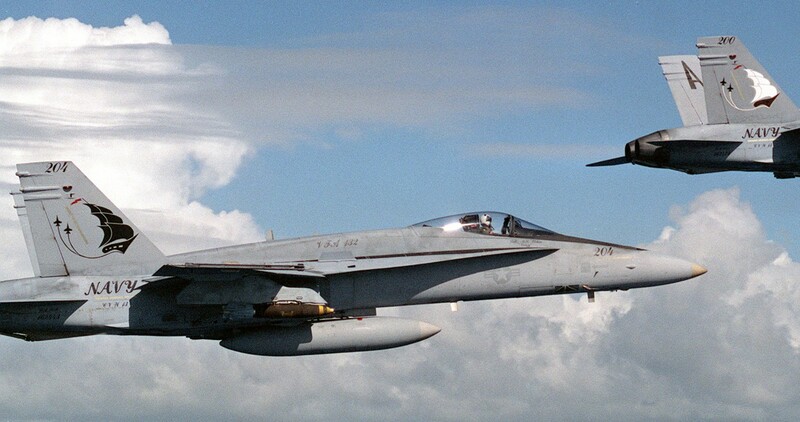 This was the first use of the F/A-18 in combat. 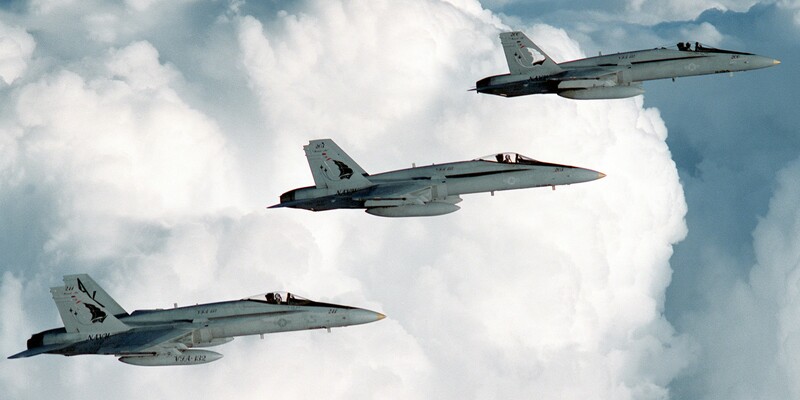 October 1987 - April 1988: The squadron deployed to MCAS Iwakuni, Japan, and was assigned to Marine Air Group 15. 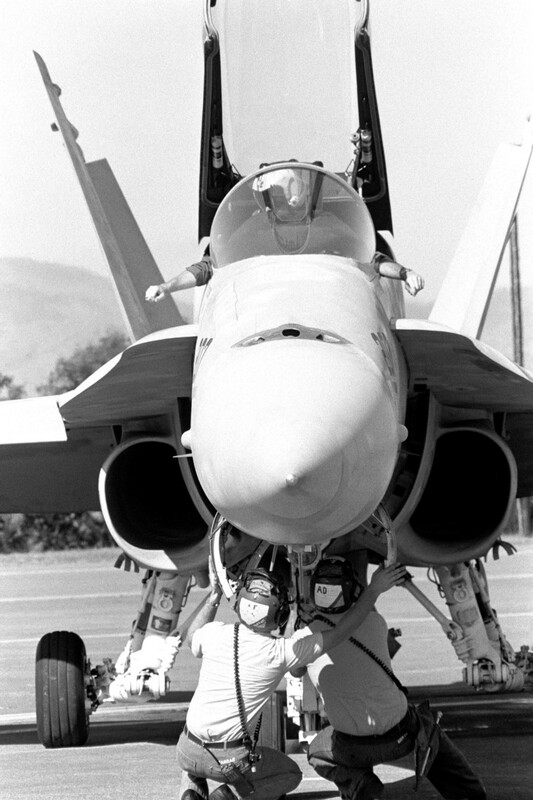 While deployed to Japan, the squadron operated detachments at NAS Cubi Point, Tsuiki AB, Clark AB, Yechon AB, Misawa AB and Kadena AB. 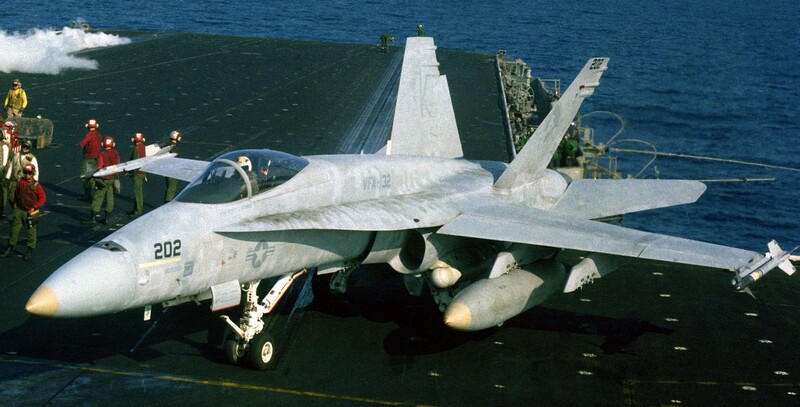 August - September 1989: Coral Sea (CV 43), with VFA-132 embarked, operated off the coast of Lebanon following the Israeli capture of Sheik Obeid and the reported killing of Lieutenant Colonel William R. Higgins, USMC. 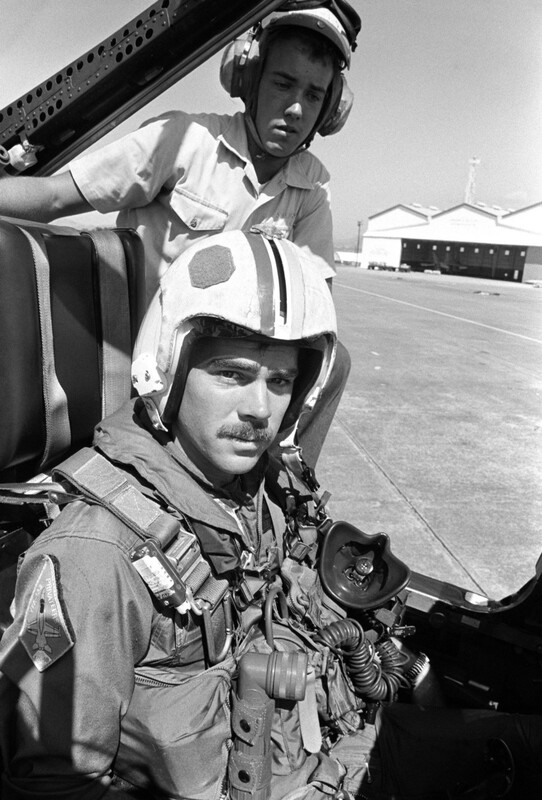 In early September the squadron provided air cover for the CH-53 helos used to evacuate personnel from the U.S. embassy in Beirut. 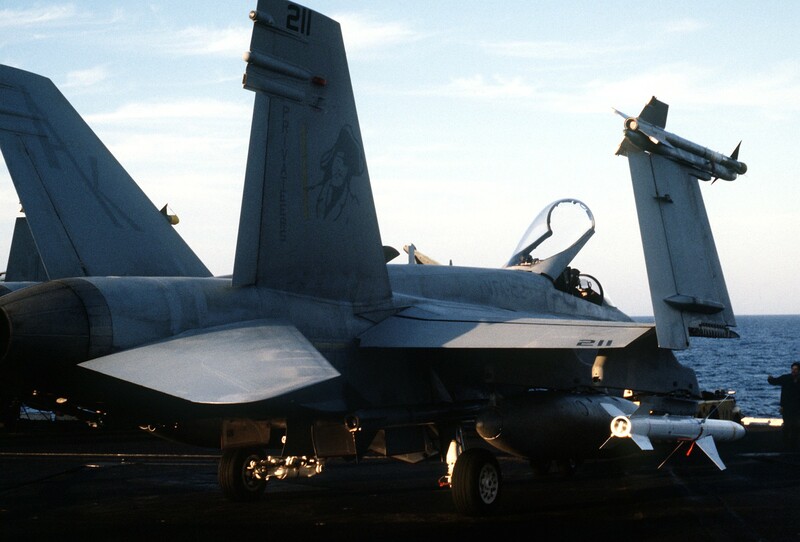 June - September 1991: CVW-6 squadrons participated in Operation Provide Comfort, flying missions over northern Iraq in support of the Kurdish relief effort.